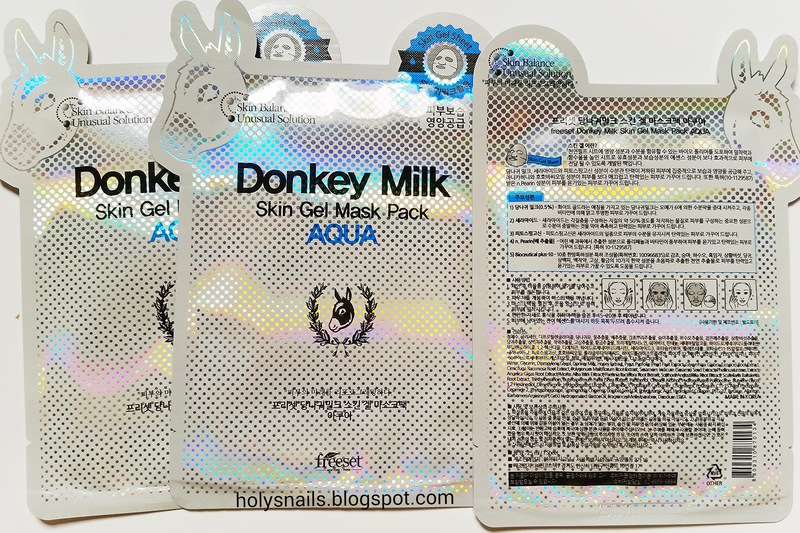 Memebox Mini Mask Haul | Holy Snails! I'm on an updating spree, huh? Anyway, if anyone out there doesn't know, there's an /r/AsianBeauty/ sub on Reddit, and it's full of people enabling each other to buy all the AB stuff in existence. So I caved, and placed a Memebox order, thanks to a Redditor's glowing endorsement of these sheet masks. I got 10 masks to hit the $30 mark and get free shipping. After using my paltry couple of Memepoints, I think I paid $28 for everything. 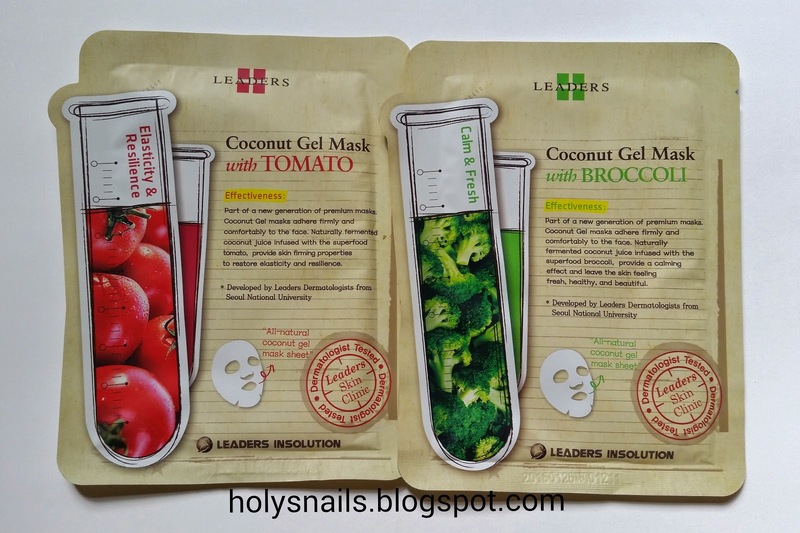 The top two are Leaders Insolution Coconut Gel masks, which I haven't seen anything on, and they sounded interesting. 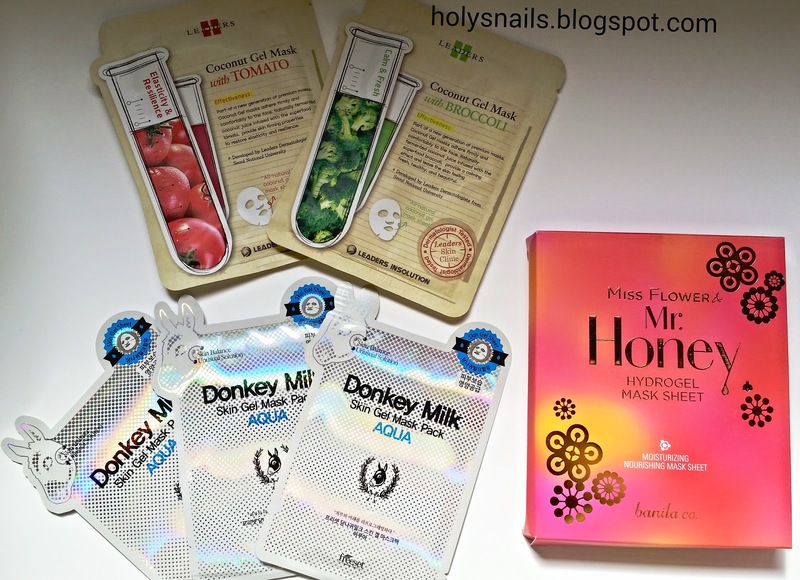 The bottom three are Freeset Donkey Milk Hydrogels, and the box has 5 Banila Co. Miss Flower & Mr. Honey hydrogels. Mmm. I figured I'd try one of each that they had, so there's a Tomato and a Broccoli. Reverse side. I'm not sure if these are hydrogels. 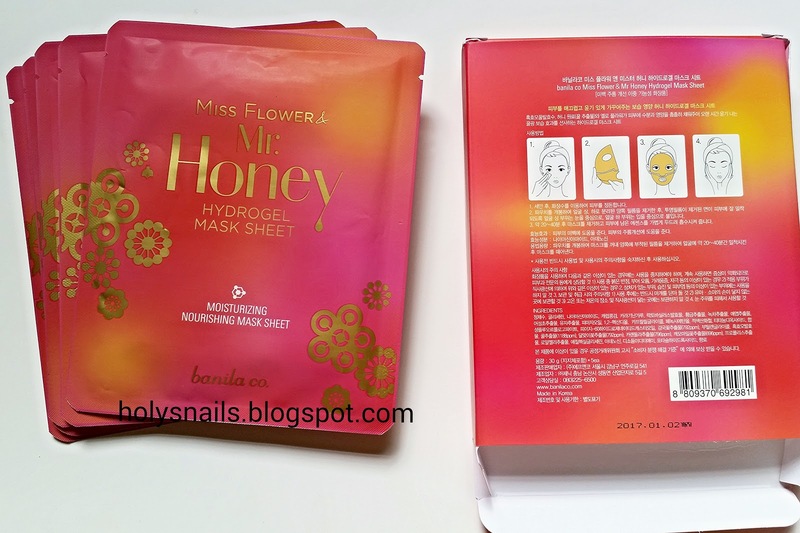 The wording makes them sound like hydrogels, but I'm thinking they're just regular sheet masks. 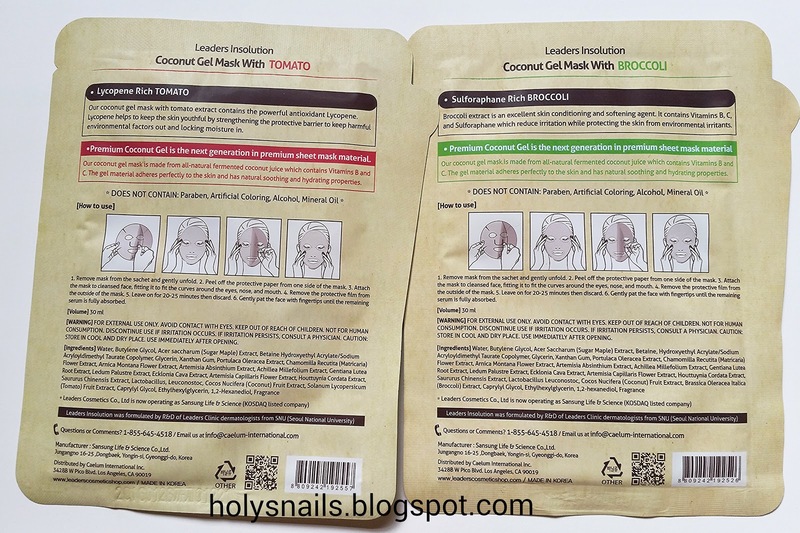 I haven't been writing any reviews of my sheet masks, because I assumed that no one wants to hear about them, but I'm realizing that having an ingredients list and general expectations for each mask is something people actually want to see, so...reviews coming soon. These are so reflective, it's kind of hard to photograph. I've been wanting to try something with donkey milk, so I guess this is better than a full commitment moisturizer. Hydrogels....have you tried them? So amazing. These were definitely the most expensive at $21 for 5 masks, so I'm expecting them to outperform anything and everything. 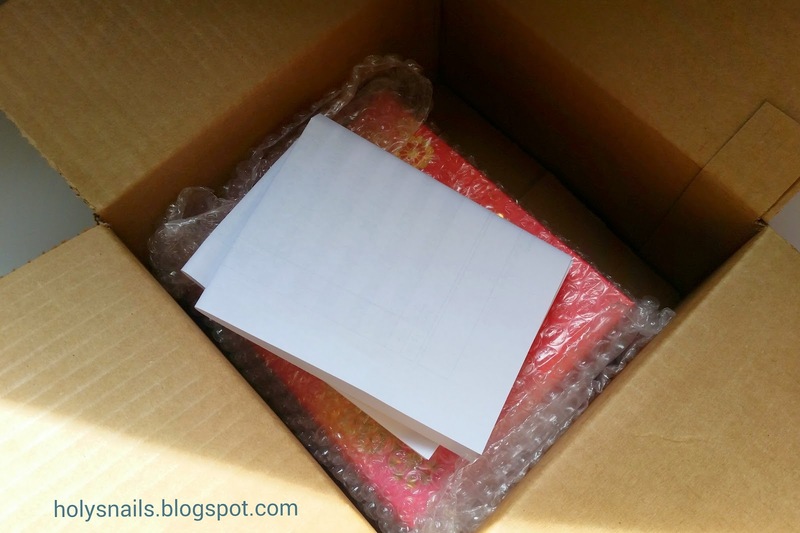 The box is so pretty, and everything is all snazzy looking, even though I am so not a girly pink person. Can you see the directions for use? These things are gold! My teensy little sheet mask collection. I've actually been using sheet masks almost every week now, so I'm whittled down to this. If I love this new haul, I'm going to have to hunt down some more. Snow White and the Asian Pear recently hauled 140 sheet masks, and some of those are utterly gorgeous and enticing, so I'm catching the sheet mask bug. How I store everything. Kind of boring, I know, but it's functional, and I can sift through everything. Banana sleeping pack for scale.